The touching story of one couple's decision to start a vineyard in France, where they fear nothing more than the destruction of a sudden cold snapFrost can be fatal to a fledgling wine business. . . it's a gorgeous glitter with a high price tag. On a winter's day it is beautiful, but on a spring day after bud burst it spells devastation. For Sean and Caro Feely, a couple whose love affair with wine and France has taken them through financial and physical struggle to create their organic vineyard, it could spell the end. Until they receive an unexpected call that could save their skins. . . 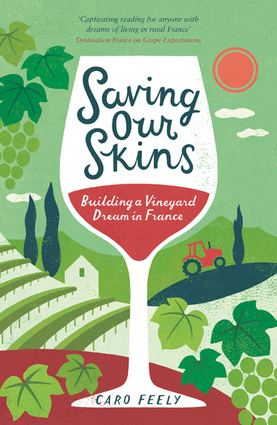 This book is about life, love, and taking risks, while transforming a piece of land into a flourishing vineyard and making a new life in France. "earnest and winning [...] This is life, and viniculture, on a human scale, as sincere and passionate as we wish the world of winemaking always were" --Eric Asimov, wine critic, for The New York Times Book Review (print: 12/6/2015; online: 12/3/2016). Caro Feely worked as a project manager and IT strategy consultant, and now runs a successful organic wine estate with wine school and gîte rental business.